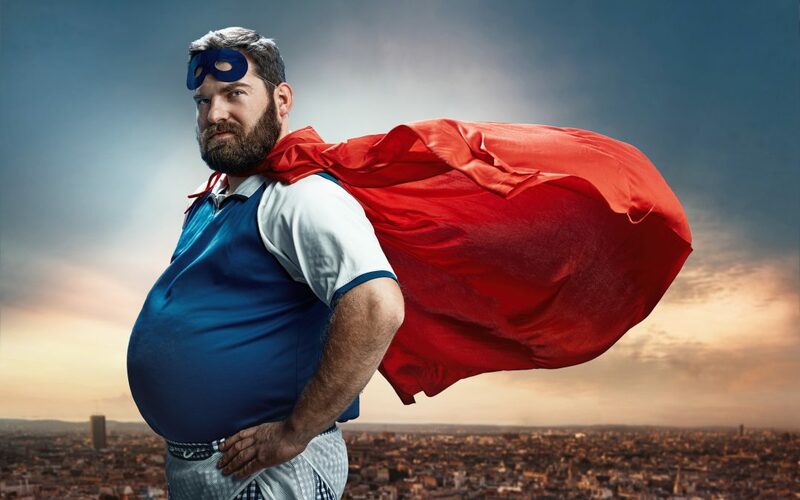 Today, ANYBODY can be a Hero. TODAY is Giving Tuesday – the day set aside during the holidays for every day people to become heroes – just by donating to the nonprofits who are making a difference in their communities daily. Originating in 2012, as a complement to holiday spending, Giving Tuesday is a perfect opportunity to join us in saying ‘YES’! Real change in our community happens when passionate donors and local partners come together with a common determination. 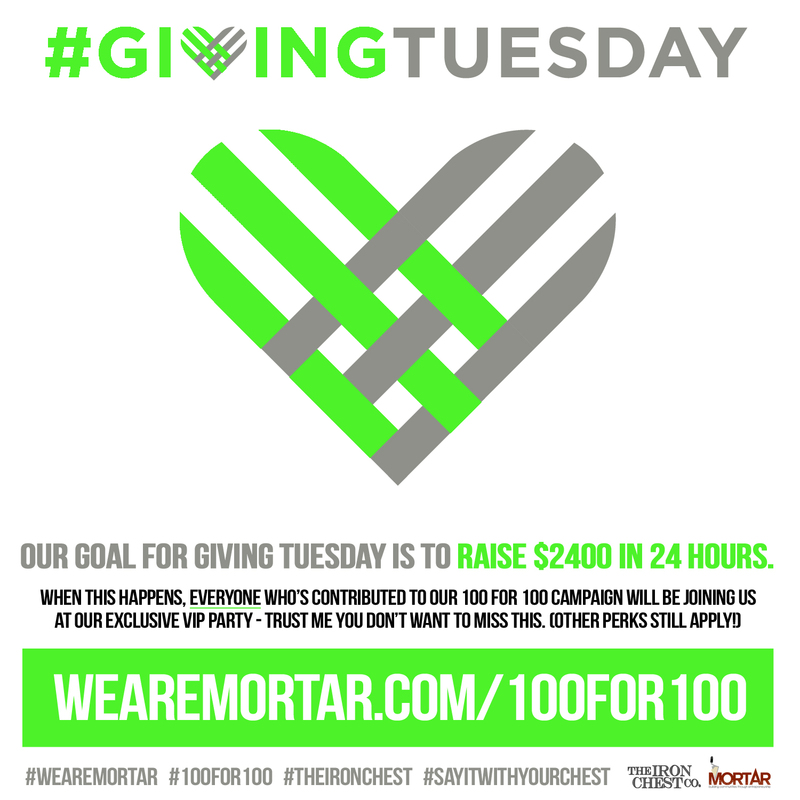 Make a donation to MORTAR’s #100FOR100 campaign by #GivingTuesday and help our entrepreneurs move to the next level. Our goal is to raise $2400 more for our #100FOR100 campaign during these 24 hours! Once that happens, everyone who has donated to the campaign will receive an invitation to an exclusive MORTAR VIP Party! So put that philanthropic cape on and show what can be done with the super power of “a dolla and a dream”. Then, come kick it with us for an exclusive VIP party that you won’t want to miss! Don’t Delay. CLICK HERE TO BECOME A HERO TODAY! What exactly IS #100FOR100, you ask? Two weeks ago, MORTAR launched the #100FOR100 campaign and to date, we are already more than 80% to our goal of $10,000! But wait, hold up – what’s all the excitement about and what exactly IS the #100FOR100 campaign? Let’s break it down for you and let you know how YOU can get involved. #100FOR100 is a grassroots campaign that is changing the game for what ‘investing in our communities’ looks like. It’s the opportunity to say ‘YES’. Entrepreneurs need capital to grow and scale their businesses and access to capital continues be a challenge for our entrepreneurs. MORTAR is pioneering an innovative approach to bridging the capital gap with our newest venture, The Iron Chest Fund. The Iron Chest will help under-resourced entrepreneurs secure start-up funding using the crowdfunding platform, Kiva Zip. #100FOR100 is the pipeline for a diverse demographic of people from anywhere and everywhere to support our most promising entrepreneurial graduates. Every dollar donated will be matched, up to $50,000! These funds received, will go into The Iron Chest Fund and will be used to bridge any funding gaps our entrepreneurs may incur utilizing the Kiva platform. The Iron Chest Fund and #100FOR100 campaign is a movement of individuals who want Cincinnati to be an inclusive home for all entrepreneurs and show that Building Communities Through Entrepreneurship works. CLICK HERE TO BECOME A HERO TODAY!